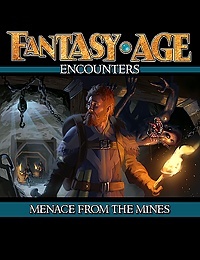 Today we present the second installment of Fantasy AGE Encounters, our monthly series of PDFs for the Fantasy AGE RPG. Fantasy AGE Encounters are short “side quests” that can be used as-is or expanded into longer adventures. 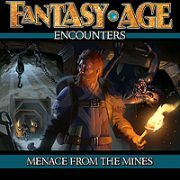 Menace from the Mines: Traveling through a mountainous region, our heroes seek shelter from a storm in a seemingly-abandoned mining town. But something stirs beneath the earth, and it’s all they can do to survive! Menace from the Mines is appropriate for Fantasy AGE heroes of levels 5-8. If you like adventuring using the Fantasy AGE RPG rules, make sure to check out Fantasy AGE Encounters: Children’s Crusade and Titansgrave: The Hermit’s Road. One of the best things about working in a creative field is getting to see how others interact with the thing you’ve put out there. When I first started working in the game industry we often didn’t know how things were being received in the wider world unless a letter came by postal mail from a fan or someone came up at a convention to tell you about their character. Simply having access to email and message boards expanded that contact beyond what we could have thought possible in those early years and today, well, today we have all of the above plus Facebook, Twitter, Tumblr, and YouTube, not to mention the explosion of convention culture and the ability to get together with people who share your interests however specialized or obscure they may be. Gaming in particular ties into so many other creative pursuits! 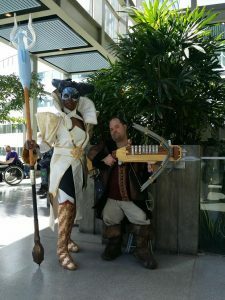 I was thinking about this earlier in the year while on the light rail to Emerald City Comic Con when I spotted someone carrying a prop that I instantly recognized: Bianca, the named weapon of Varric Tethras from Dragon Age. The prop-crafter stopped and talked with me about how it had been put together while I gushed my admiration for the end result. 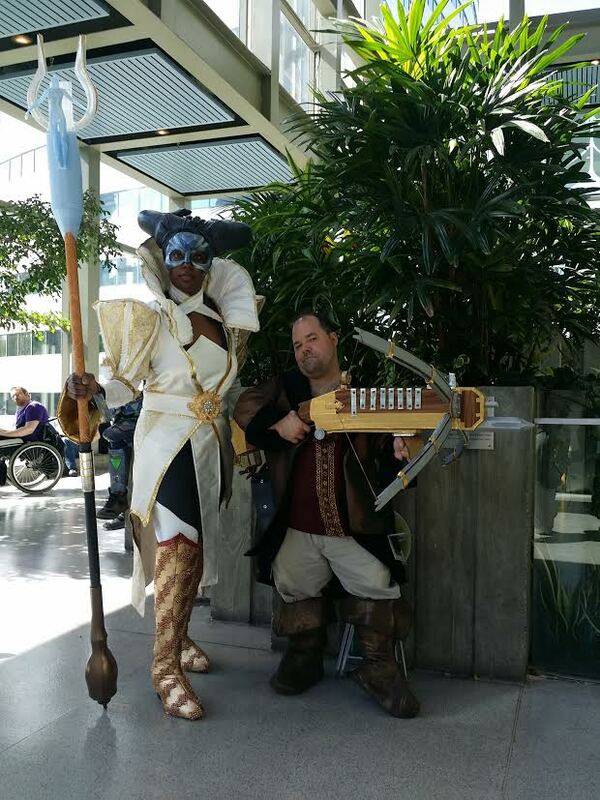 Bianca was later reunited with the Varric cosplayer they were meeting at the con and they were kind enough to send me some photos of the result afterward. Cosplay is a beautiful (and very visible) way fans express their enthusiasm for creative works that inspire them. Sometimes that enthusiasm confines itself much more directly to the game table. We were recently contacted by Freeport fan Russell Liley who wanted to share something he’d put together for his game group. 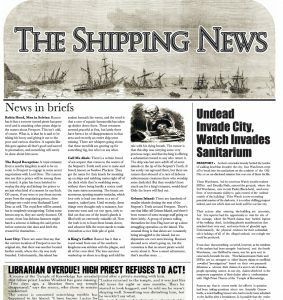 Throughout the history of Green Ronin’s Freeport releases, the city’s paper The Shipping News has served as a way to dish out plot hooks, character tidbits, and flavor text to entertain and inspire readers. Russell went a step further and put together a PDF that could be printed up and actually handed out to his group. We were absolutely tickled to see it! He has kindly given us permission to share it at this link on the Green Ronin website. Art is perhaps one of the oldest forms of fan expression. In fact, many tabletop RPGs have encouraged (or even “required”) players to not just describe their characters but to draw their characters (or, for those like me who have no artistic skills, choose some sort of representation for their character from existing art). The space for character illustration did not start popping up on character sheets by accident. 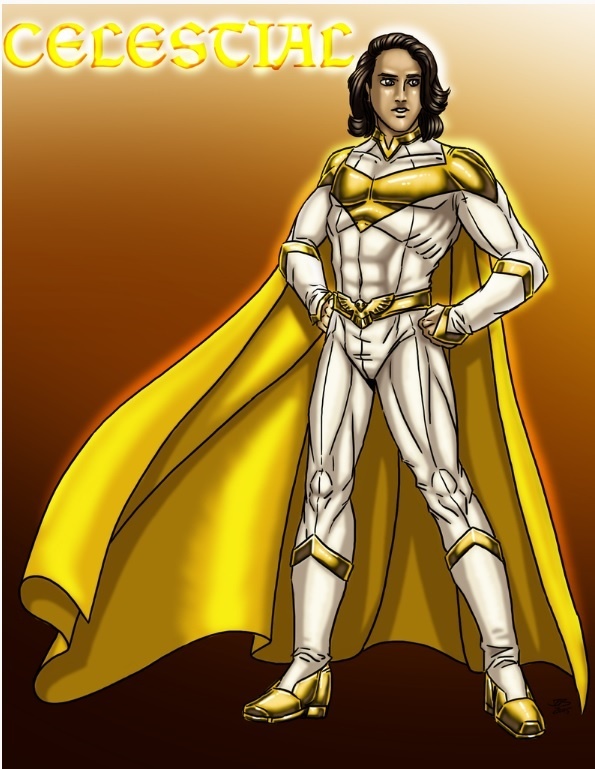 Going back to Green Ronin’s earliest forums we were asked to provide a place for fans to share their art and that especially took off with Mutants & Masterminds fans eager to share their four-color (and not so four-color) heroes. Even with sites like DeviantArt playing host to amateurs and professionals alike, many people still come to the forums to share their latest character concepts. Some people have even gone on to take part in the Mutants & Masterminds open license to publish their work. Twitter has been particularly good at connecting us with fans of Titansgrave thanks to hashtags. In addition to getting to see people excited about watching episodes of the web show, we’ve also gotten to see YouTubers discussing the show (such as the entertaining Titansgrave Diggers who had me on the show last August) and people doing all sorts of incredible art inspired by the world and characters, like this incredible sculpt of Laura Bailey’s character Lemley! When I asked Gordon about his sculpt, this is what he had to say: “I have many projects on the go, but the world of Titansgrave and the character of Lemley inspired me to take on one more. 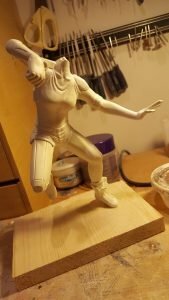 In my optimism I thought that it would take me a couple of months to make it, and I could then go on to make the other characters. This has proven to be well below the amount of effort it actually required, but I am so pleased with the way it was going I have carried on regardless. I am making this sculpture out of Milliput, taking a leaf out of the hugely talented Jason Freeny’s book. Were I to do it again from the beginning however, I’d probably opt for something easier to work with, such as polymer clay.” If you want to see what Lemley eventually looks like with her head on, you can find more pics at Gordon’s Tumblr. I guess what I’m getting at here is that we love to see your enthusiasm, how you’re going out there and making these things your own. Doesn’t matter how that ends up being expressed, your love for the things that make you happy makes the creators of those things happy, too. Sometimes the internet can function as an amplification device for unhappy feelings and unpleasant interactions but there’s a lot of good stuff out there to share and embrace. Those of us on this side of the creation equation couldn’t be more pleased and honored to see the ripples spreading out through the pond of our game-loving community and coming back around to us. Have fun out there everyone! Ronin Round Table: GenCon 2016 Roleplaying Games! As I’m sure most folks know, the events registration for GenCon 2016 went live on Sunday. As an aid to everyone who is interested in playing some of their favorite Green Ronin Publishing roleplaying games at GenCon – or trying out one they’ve never played before – we thought we’d compile a handy list of links to those games, by game. What follows is not a complete list of Green Ronin Publishing games ato be had at GenCon. It’s just a collection of the games we’ve helped put together and coordinate for this year’s convention. See you there! Reminder: While some of these games are already sold out (a big thanks to all of that enthusiasm! ), remember that lots of folks over-buy, and then drop events as they figure out their schedule. Moreover, things happen and sometimes people aren’t able to show for a game, so make sure to pick up some generic tickets and if there’s a game you’re really interested in, show up to it and see if there are any slots unfilled when game time rolls around. Our GMs are only too happy to help. //titansgraverpg.com/wp-content/uploads/sites/11/2015/06/titansgrave-logo-cropped.jpg 0 0 Evan Sass //titansgraverpg.com/wp-content/uploads/sites/11/2015/06/titansgrave-logo-cropped.jpg Evan Sass2016-05-16 05:37:292016-05-16 05:38:20Ronin Round Table: GenCon 2016 Roleplaying Games!